Russian Phobos-Grunt Mars probe that’s been stuck in Earth orbit for two months has crashed down in the Pacific Ocean on late Sunday. “Phobos-Grunt fragments have crashed down in the Pacific Ocean,” Russia’s Defense Ministry official Alexei Zolotukhin told RIA Novosti, adding that the fragments fell in 1,250 kilometers to the west of the island of Wellington. The spacecraft fell at about 21:45 on Sunday Moscow time (17:45 GMT). As of 20.15 Sunday, the spacecraft was moving in the near-Earth orbit with an altitude that varied between 113.8 km at perigee and 133.2 km at apogee, the Russian space agency Roscosmos said. Phobos-Grunt, launched on November 9, was designed to bring back rock and soil samples from the Martian moon Phobos. However, it has been stuck in a so-called support orbit since its engines failed to put it on course for the Red Planet. The head of Roscosmos, Vladimir Popovkin, previously said the probe would break up during reentry into the atmosphere and none of the fragments are likely to reach the Earth. That includes the 13.5-tonne spacecraft’s 7.5 tons of fuel, which are stored in aluminum tanks that are bound to explode upon reentry. 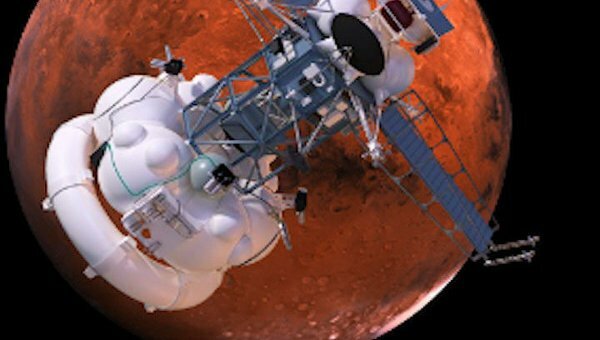 According to NASA, Russia has failed in all 17 of its attempts to study the Red Planet close-up since 1960. The most recent failure before last month occurred in 1996, when Russia lost its Mars-96 orbiter during launch.